As my followers know, I have rules for my ‘view from the office’ posts. The big one is that VFTO pictures are taken with and posted from my mobile phone. I’ve decided that the format for the PS Challenge is the ‘something new’ I introduced yesterday. All images will be made with the PowerShot camera and processed like images from the big cameras, since they all start in RAW format. The PowerShot is fun and full of surprising capabilities, and becoming a powerful tool in my camera bag. That said, here’s today’s edition of the PS Challenge! 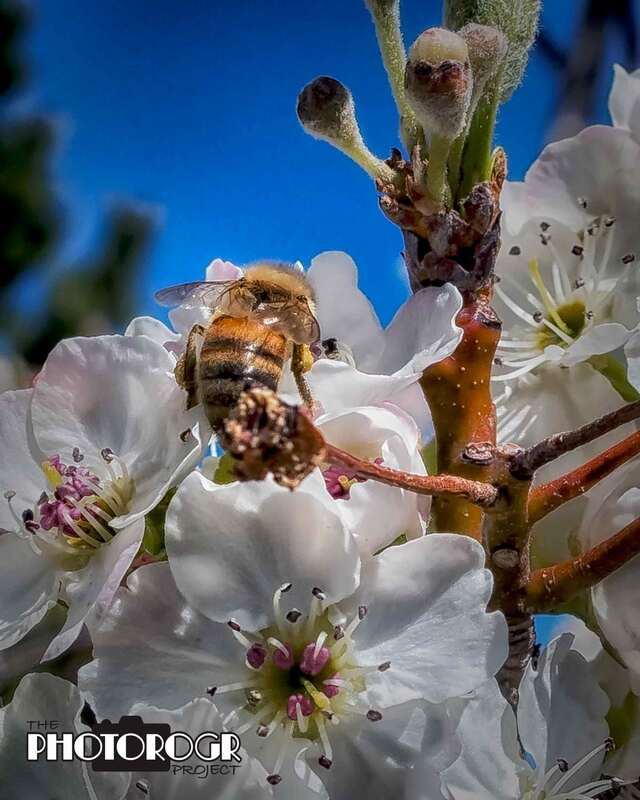 The pollenators are out in force, and working the trees in the yard pretty hard!